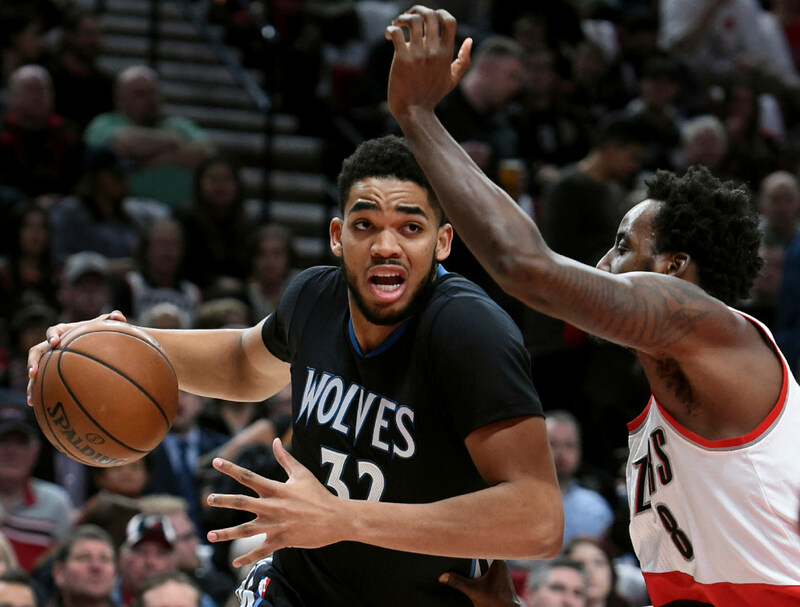 The Timberwolves' turnaround could look very dramatic if everything finally comes together. The ingredients for a significant bump in victories from last season to this season are certainly there for the Timberwolves. Minnesota underachieved last year in winning 31 games (just two more than the previous year despite a young team maturing) and added several key new pieces to this year’s roster — the most notable being star Jimmy Butler in a trade with the Bulls. As such, it shouldn’t be too much of a surprise to see that ESPN’s panel of 44 experts has tabbed the Wolves for the biggest victory total increase in the NBA. Votes were tabulated on a first place (five points), second (three) and third (one) system, and Minnesota easily outpaced the second-choice 76ers (134 points to 78) as well as the Nuggets, Bucks and others. Per the item: ESPN’s Real Plus-Minus projects the Timberwolves to win 50 games after they went 31-51 a season ago. The projected jump of 19 wins is nearly twice as large as any other team and would be the second largest in franchise history. (That last part might be technically true, though the biggest increase was from 25 wins in the lockout-shortened 1998-99 season to 50 wins the next year. The biggest jump otherwise was 14 wins, from 26 to 40 wins between Kevin Garnett’s first and second seasons). Notably, Garnett was also part of the largest improvement in NBA history when he joined the Celtics in 2007 and Boston jumped from 24 wins the year before to 66 that season (a 42-win leap). Back to the Wolves, though. They were projected to finish around .500 (if not a little better) last season and it didn’t happen. So the burden of proof is squarely on their shoulders. The turnaround could look very dramatic, though, if everything finally comes together. ESPN’s experts also picked Karl-Anthony Towns as the most likely first-time NBA All-Star and had Butler third in the rankings of best player on a new team (behind Chris Paul and Paul George).